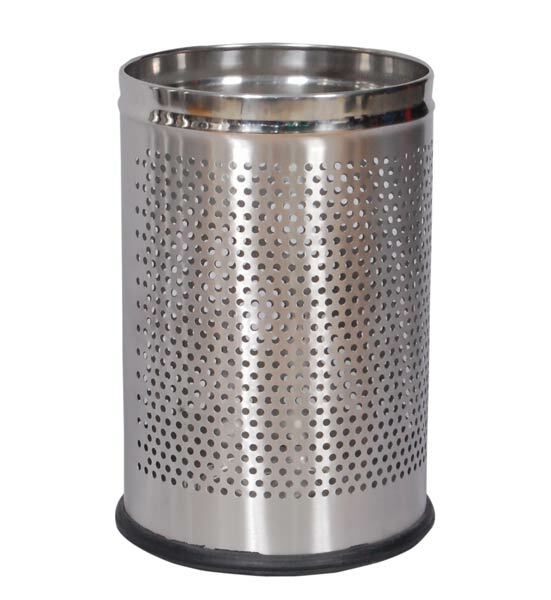 We provide Stainless Steel Perforated Dustbins that are made from SS 202 Grade. The Open Perforated Stainless Steel Dustbins are round in shape and feature an open top. We offer the Stainless Steel Perforated Dustbins in different shapes and variants such as SS Dustbins Swing Lid, Ash Can Lid, 23 Hole Lid, Push Can, Pedal Bin, Open Bins, Work Station Bins, Perforated Bins And Non-Perforated Bins. All these Stainless Steel Perforated Dustbins are exported to UK, USA, Dubai and European market. We can cater to the requirements of local as well as international buyers; thus have garnered repute as Stainless Steel Perforated Dustbins Manufacturer, Exporter and Supplier in New Delhi, India.